Fifty Shades of Grey...did you read the books?? Did you see the movie??? I read some of the first book...meh...wasn't all that intriguing to me...as for the movie, I was all over it when I thought Mr. Charlie Hunnam was in it....hello....he can eat crackers in my bed any old time!!! And you wonder why I like watching Sons of Anarchy??? 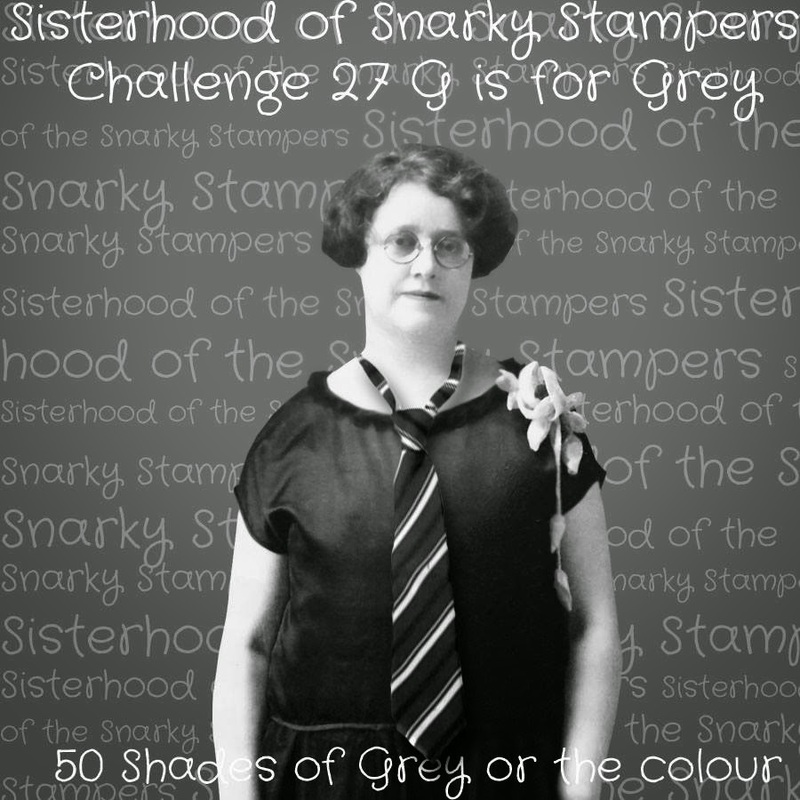 Now that we've got the eye candy out of the way...back to the challenge...this time around Edna would like you to use either the book or movie Fifty Shades of Grey as your inspiration...or...use the colour grey. Visit the SoSS BLOG for all the details on the challenge and while you are there, be sure to show my sisters some crafty lovin'. Our special Guest Designer for this challenge is my pal AMY be sure to visit her blog as well...her card is super awesome!!! Maybe YOU will be our next Queen or Princess of Snark!!! Good one for the Anti-shades of grey. Fabulous job on the challenge Donna. LL Cool J. Yummy! LOVE your take on the challenge! That sentiment is PERFECT!! Huge fan of the LL Cool J body. Grest card. Hilarious! This really is perfect! MAMA SAID KNOCK YOU OUT!! I'M GONNA KNOCK YOU OUT!! Goin' back to Cali, to Cali, to Cali--Goin' back to Cali--I DON'T THINK SO!!! Yeah, this 80's girl is a bit of a fan of LL Cool J!!! OK--I may have had a license plate frame that said "Chains Required-Whips Optional" at one point in my wild days!! LOL!!! This post was definitely easy on the eyes. I'm afraid I may have to revisit it often, you know, just to be sure I saw what I saw. Your card is fabulous!!! 50 Shades of Shallow Writing was not.